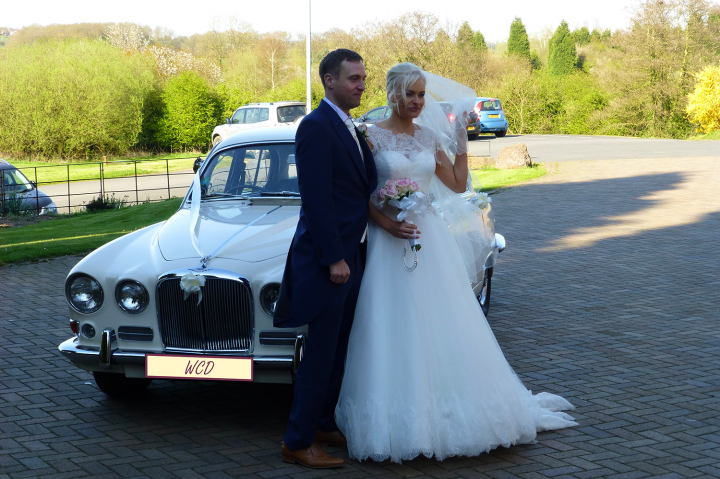 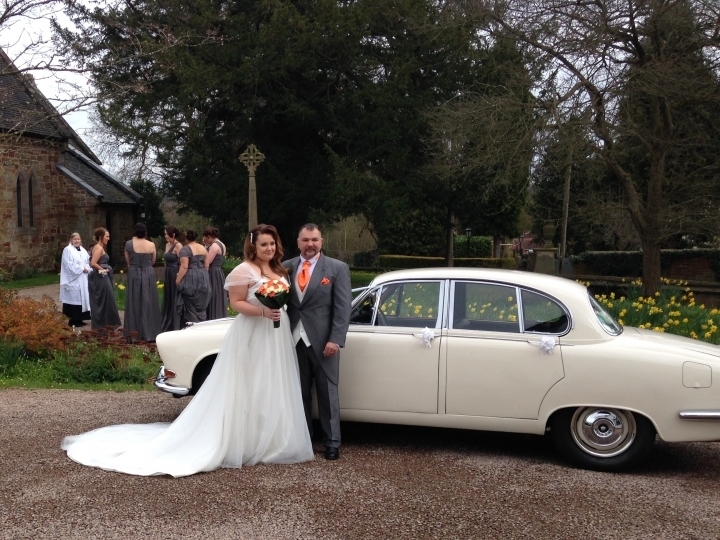 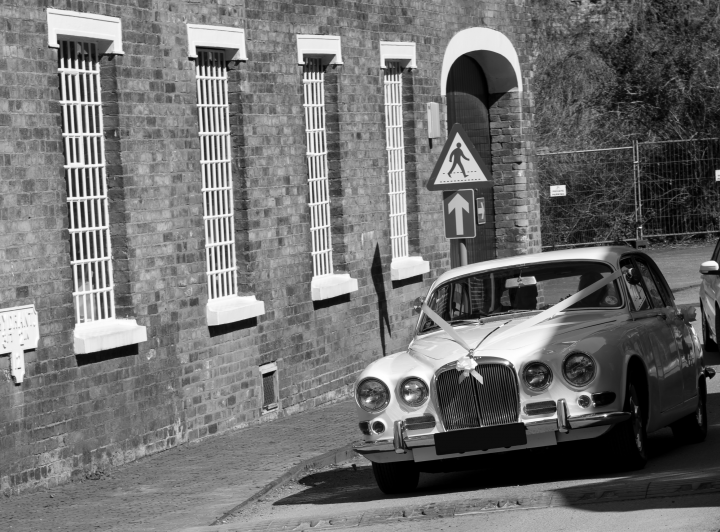 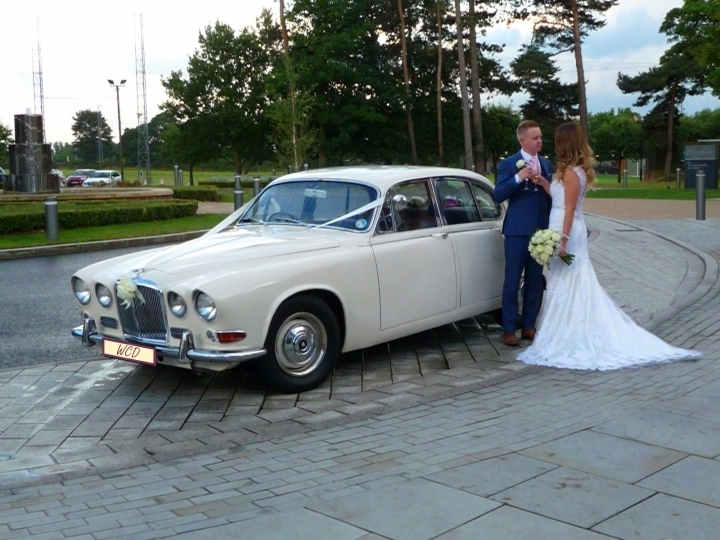 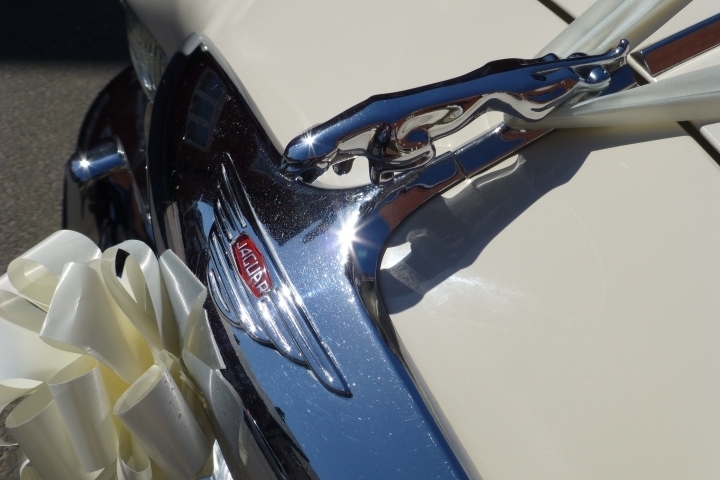 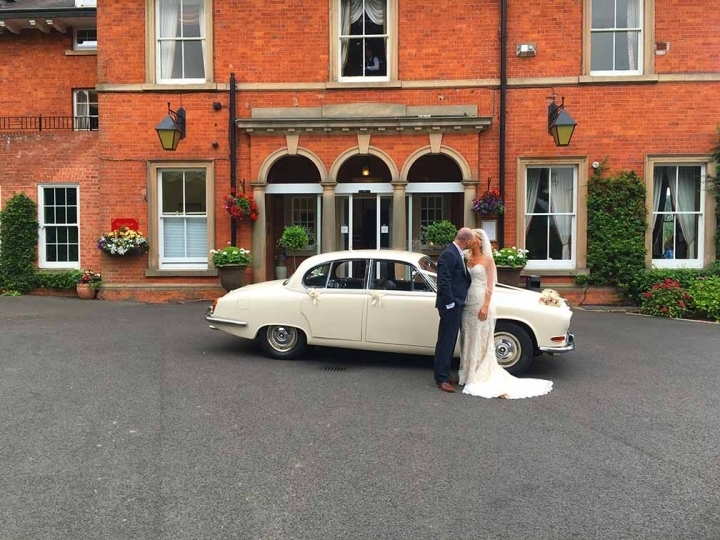 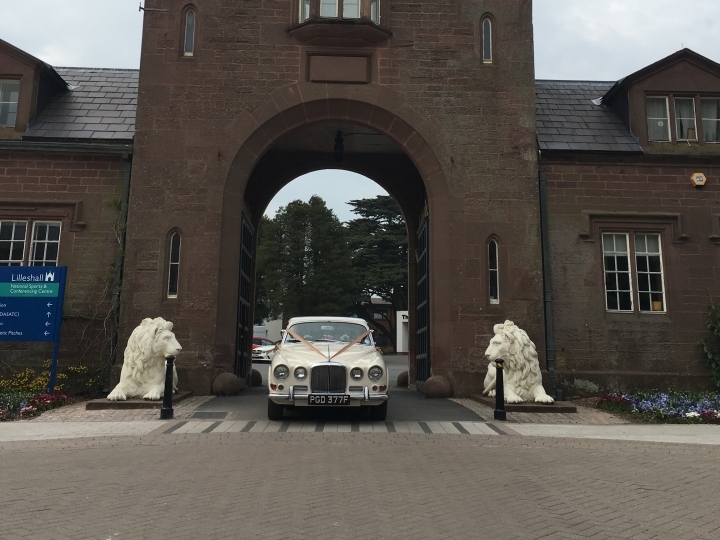 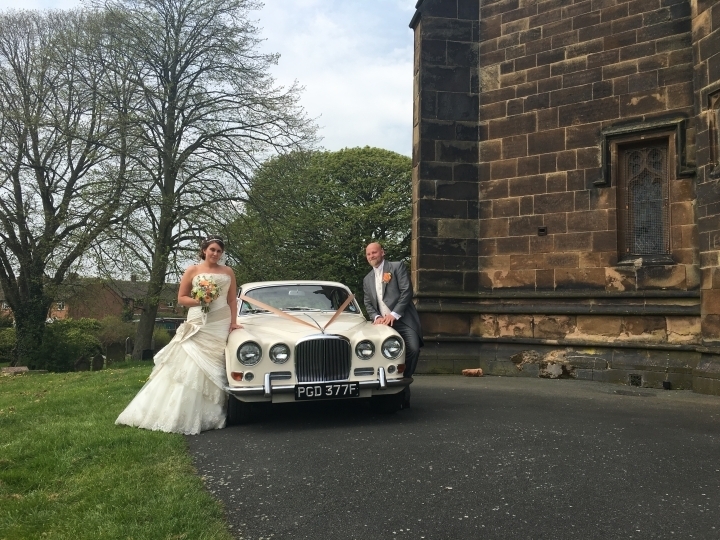 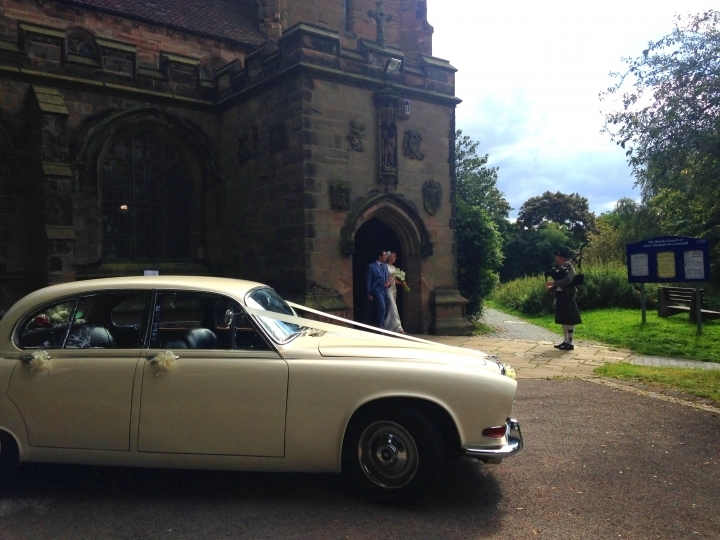 Our beautiful Jaguar 420 in Old English White (Cream/Ivory), started her life in Jaguar's Browns Lane factory, Coventry. 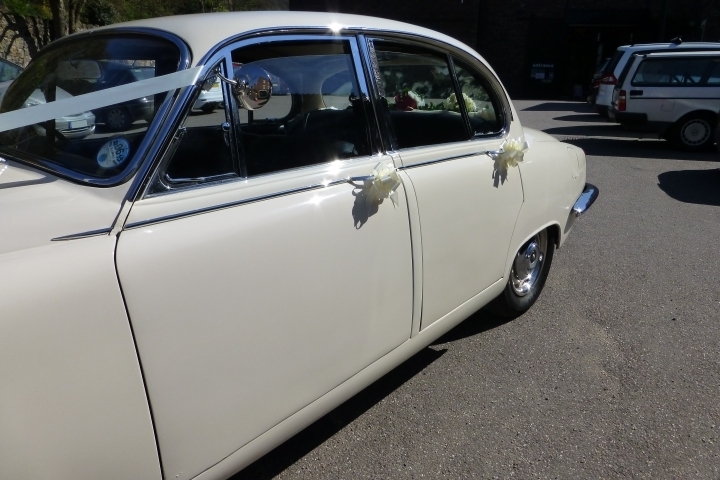 She has stayed the same colour as it rolled off the production line all those years ago. 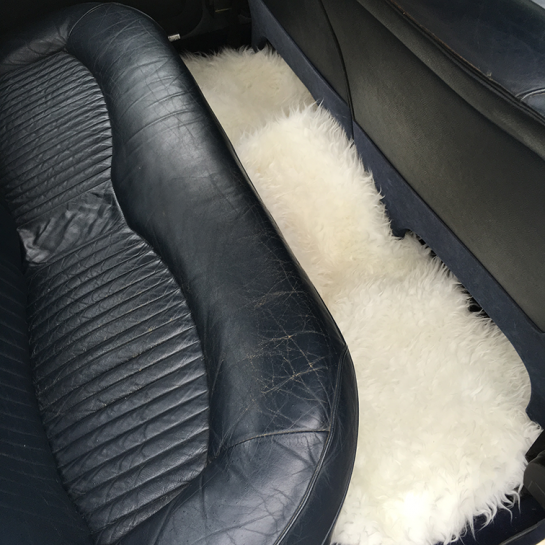 She even has her original navy leather seats which have been lovingly cared for over the years. 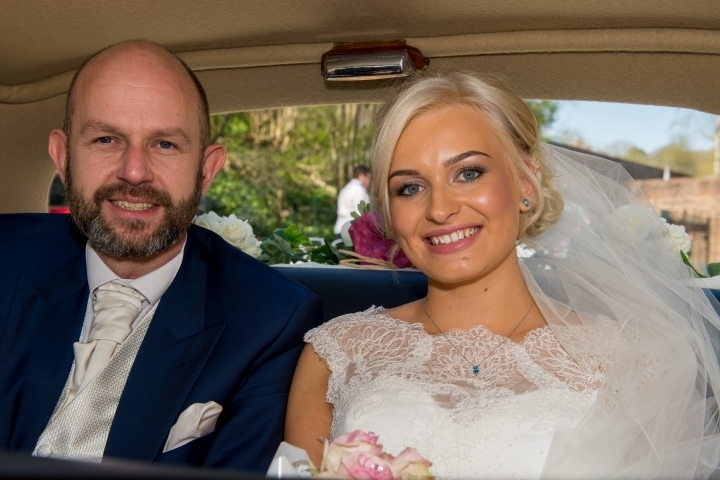 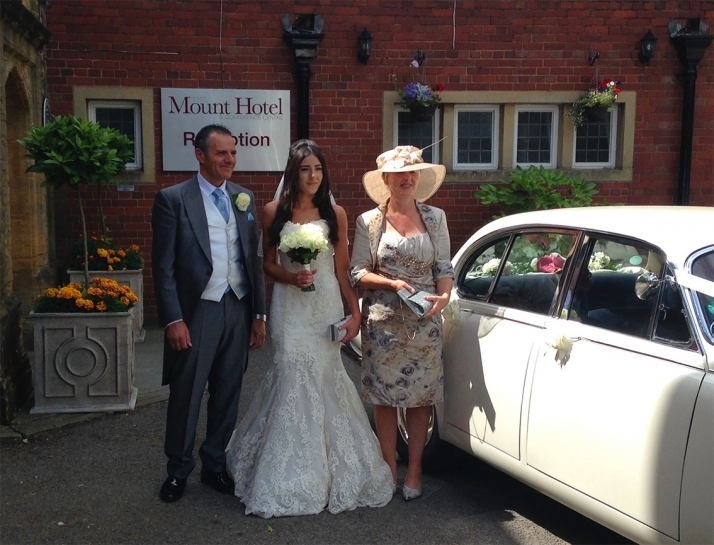 We have always maintained her to the highest standards to keep her looking her best just for you on your special day. 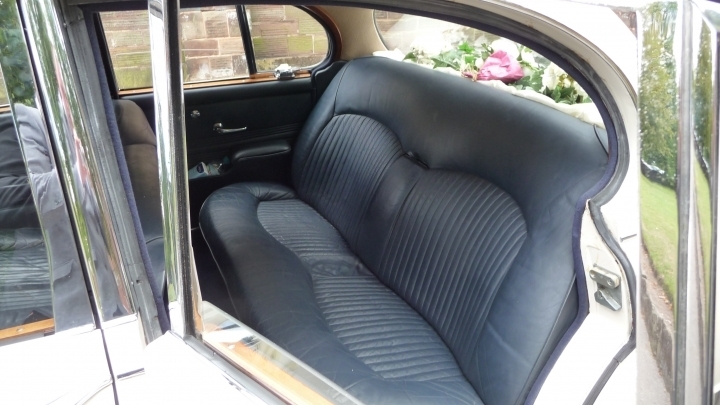 Seats up to four wedding guests. 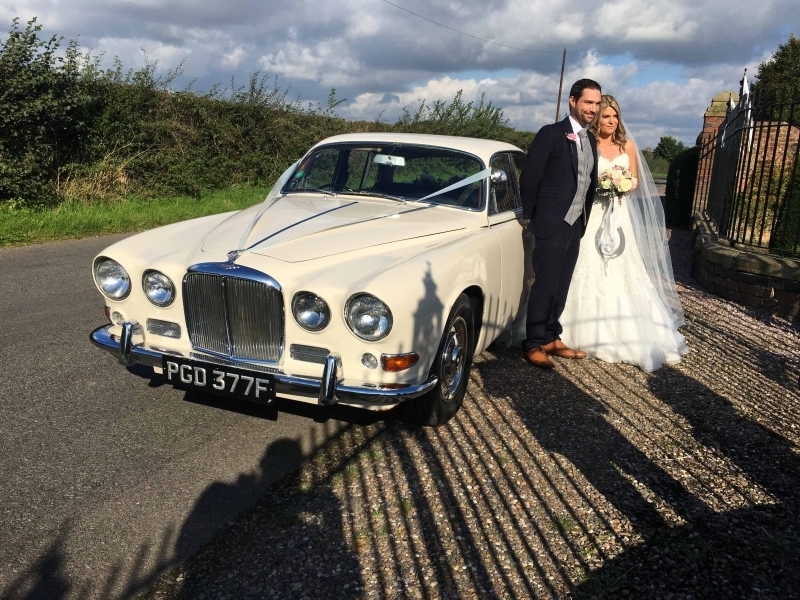 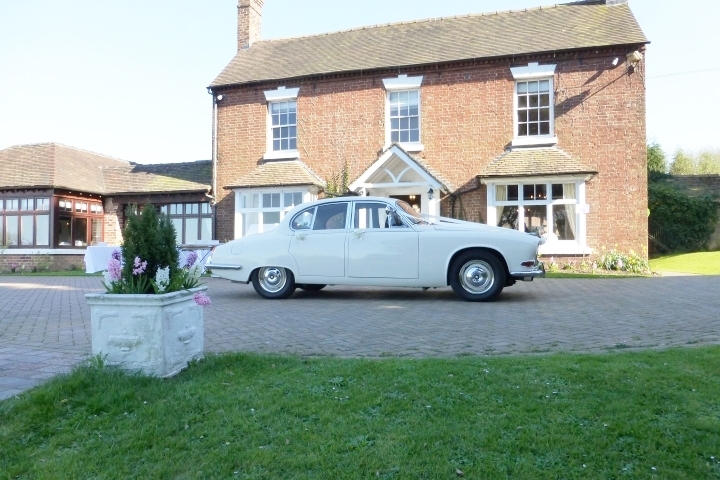 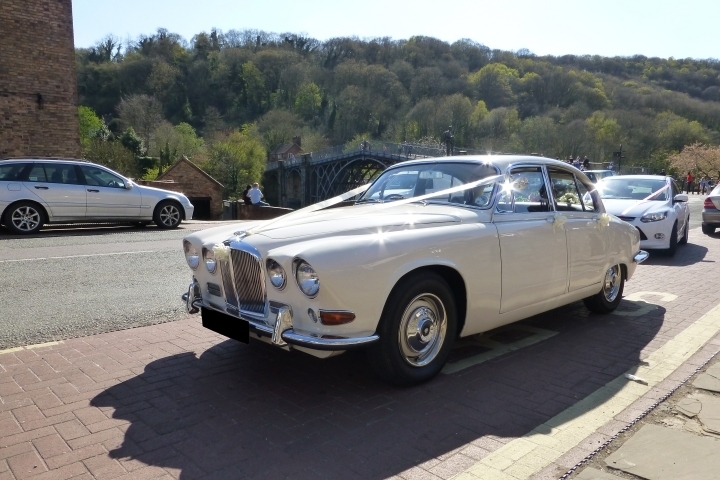 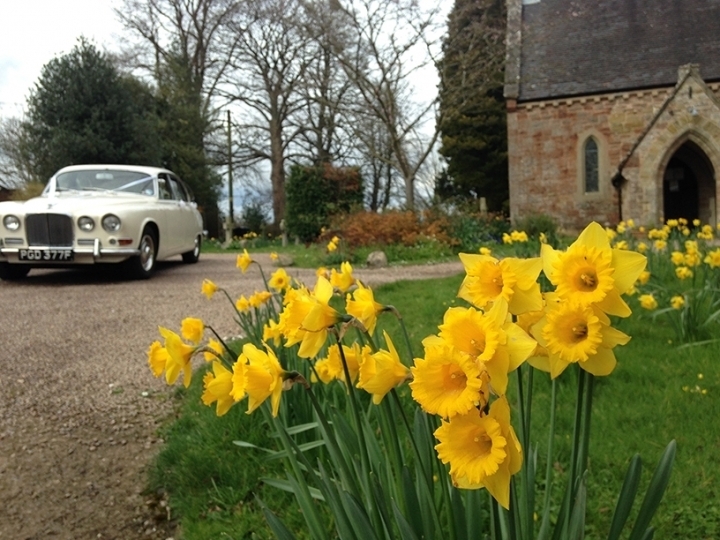 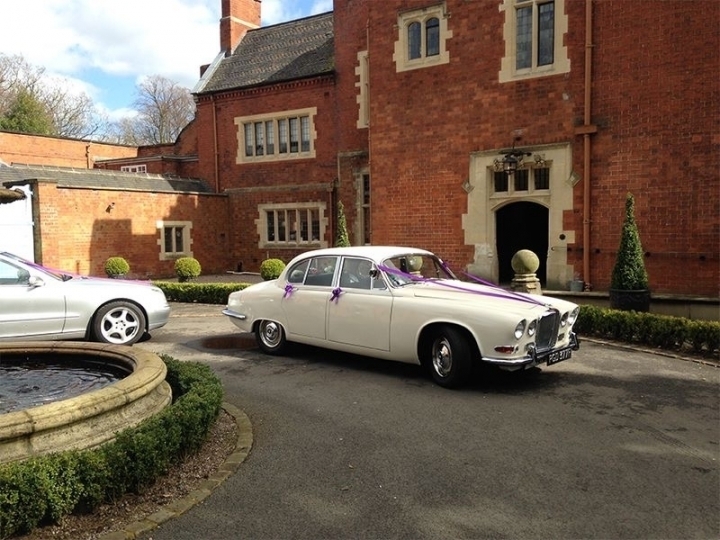 Powered by the legendary 4.2 Litre XK Jaguar engine (the same engine used in the Jaguar E-Type) it will deliver you to your chosen destination with grace & elegance.